Back in 2015, I was a financial analyst. Yet I was bored of the 9-5 work life as an employee and I wanted to break free. After reading a few marketing books, I realized that the fastest and most effective way for me to make money was to do it online. In fact, by creating online businesses I could save the hassle of supporting and paying the rent of a physical store or managing other people. Therefore, I started with online teaching as I thought it was a sustainable business model to generate a stream of income. At the time there was a platform which wasn’t yet that popular, but it had an enormous potential: Udemy. Today Udemy has more than 55,000 courses and it has become one of the major online course platforms globally. In this article, we’re going to use the data from Udemy to find out profitable niches for your next online course! I’m not saying you have to use necessarily Udemy to launch your next course. In fact, I believe that the most effective way might be to use Udemy to offer a free version of your course to have people know you. Then create a paid version on a platform where you have total control (like Teachable). Is it worth teaching on Udemy? What would acquisition channels help you understand whether the course is the right one? Online teaching is not easy. The effort it takes to produce a good course is enormous, and it might take up to three-six months to get something valuable out. Since the process can be quite stressful and time-consuming, it doesn’t make sense to start if you don’t have data that can support at least the fact that there is an audience to your course and that you can make earnings for that. Back in 2015, I didn’t know too much about analytical tools for digital marketers and I didn’t care too much about analyzing either (that might seem weird for a former financial analyst). I just knew I had been a financial analyst in the previous three years and I could use that knowledge to put together a basic course about financial analysis and accounting. That is what I did. The truth is I wanted to change career and break free. Therefore, I might have been scared to look at data, especially if that turned out to be not favorable. I went all in! I managed to gain over 3,800 students in about two years and a half. Although I repaid the effort of producing those courses, I can’t say I became reach thanks to them. It took me about three months to put together three courses. If I had to work for those three months, I would have made more as a financial analyst. However, I didn’t have any expense throughout those three months, as I worked from home. In addition, I didn’t work full time but I was devoting only 3-4 hours a day to create the courses. The rest of the time was free to read what I loved and learn how to get better at writing. Also the materials I had put together allowed me to create an ebook that sold quite well. Thus, overall I was lucky enough to see my efforts repaid. On the other hand, If I had to start all over, I’d look at data first. For instance, my course has better reviews (4.80) compared to the average finance courses on Udemy (4.37). Also in terms of engagement students tend to follow actively 71 minutes of my course, compared to 61 minutes on average of other finance courses on Udemy. I’m doing quite well now because I used this data in the past to optimize the course content. In short, I deleted the lectures that weren’t engaging and substituted them with fresh materials. That is how I reached that level. That is also how you will want to do to offer a great course. It doesn’t have to be perfect at first but you need to tinker it until it gets better. As you can see one of my best months, October 2017 had more than 200 students. Although this number might not seem impressive there is to say I don’t do marketing at all. In short, those are numbers coming from Udemy, its reach through search engines and its affiliate programs. Those numbers aren’t spectacular also because on Udemy often promotions can go as low as $10-$15 per course. Therefore, for a single student, you might make as low as $5. That is why I believe you should build your own brand and have your own online platform to make this business sustainable over time. However, let’s jump now to the insights Udemy can give us on new online courses ideas! Udemy has a tool for instructors called Udemy insights. I will use that to assess what online course ideas can make you money by teaching online. One caveat, online teaching, like many other online businesses is based on the principle of “winner takes it all.” If you want to be the winner you need to be willing to produce an awesome, top-notch online course. That is the baseline. The remaining part is your ability to market it. However, starting with an audience will already guarantee you some discrete economic success. Here I’m also making another assumption. If the course topic is popular on Udemy, then it might be popular anywhere else as well. Just six courses cover App Development and only 17% has a rating of 4.5. If you are a developer you could create a course on the topic! What are others topics promising on Udemy? In this case, too, I wouldn’t focus that much on the median monthly revenue as those are new trending topics, with no available data about instructors income. Also, if you create the course on a platform, you manage and charge for such a course anywhere between $99-$299 (as it can open professional careers) you only need10-20 students per months to make somewhere between $999-$5980 monthly income. Things get more interesting here as the number of courses available is higher but also demand is quite high. Some other interesting topics related to JSON are AJAX, XML, API, Technical Writing, JQuery. The exciting thing is that only 9% of the courses in this category rank higher than 4.5 and 53% of students enroll in highly rated classes. That means a rating of 4.6 can make your course the most successful on Udemy. Enough technical stuff! Let’s look into other areas. When it comes to SEO, there is a lot of demand and also a lot of offer. As you can see, here winner takes it all. In fact, most instructors on Udemy make as low as $32 but top instructors make £7,489. Therefore, if you want to make money by teaching SEO you want to make sure to offer a top-notch course. For instance, if I had to produce a course on SEO, I’d go laser focused, with a course on “SEO WordPress.” I know it is counterintuitive as you are narrowing your audience but you will also be more competitive in that niche. Although over 200 courses offer SEO, only 21% have a rating higher than 4.5, and 50% of students enroll in the top-rated course. Therefore, if you make a class that has an above 4.5 score you have a chance to make more than $7K on Udemy alone. Let’s narrow the focus and see what we get. WordPress is the most used CMS (content management system) which powers 27.5% of websites globally. That is also the CMS that powers this blog. No surprise WordPress is so successful, it’s among the most accessible CMS. In addition to that, it’s SEO friendly, which makes your website rank better in search engines. Once again, winner takes it all! There is a number of courses in WordPress but only a few make a buck. Actually, those few make as much as $13,603. The search for WordPress courses is on the roof! In this case too, like the ones above, there are plenty of courses on Udemy on WordPress, but only 24% are rated higher than 4.5, and 67% of students enroll in top-rated classes! Once again, you either make it great or it’s better you don’t make it at all. Although producing an online course is a great way to make money online, the landscape is also quite competitive. Therefore, you either put the effort to create great stuff and be ready to market it or you’re energy would be wasted. In fact, as we saw in most cases winner takes it all and most students go to high rated courses. In addition, you might want to look at the data before venturing in creating an online course to avoid the risk not to pay for the expenses of the course itself. In fact, as you saw many instructors are making as low as $32 per month. Do you want to be one of them? I know this might not be the news you were expecting but online teaching (like any other online business) is extremely competitive. Therefore, you either put 100% effort into it, otherwise, you’re better off working a regular job. Also, Udemy is an already established network. Yet if you build a course on a platform you manage you will need to market it as much as possible. Of course, you might be better off as you can price your course as high as possible and position yourself as a top-notch instructor. But two conditions are needed: quality of content and the ability to sell your course together with your consultancy. As of now though, online teaching can be still a great opportunity which you might want to take into account for your next online business. In fact, by teaching, you learn too. As you learn you can also offer complementary services (like consultancy, or seminars) and produce other materials (like ebooks). If I were to produce an online course now, that would be about SEO in WordPress. The choice is subjective as I’ve been blogging in WordPress for years now and I work in the SEO industry. What about you? In this article, I’m showing you first, five online courses topics that can make you money on Udemy, assuming you produce a high-quality course. WordPress, Marketing Strategy and AdWords seem to be quite popular and with a high earning potential. As you might notice in the top interests within Growth Hacking, there is Google Analytics. Thus, even within a wider topic, you can find an interest, a niche that can work well regarding monetization. This process can go further. In fact let’s say that you are familiar with other free Google tools, like Google Tag Manager. You see that if we look at the earning potential, although lower. In fact, the top-selling courses about Google Tag Manager make $730 per month. However, there is to say that the topic is so specific that no course, for now, last longer than two hours. What factors can you look at to make the final decision on what topic area to pick for your next Udemy course? Producing an online course is a challenging activity that requires so much efforts that you want to make sure you’ll at least recover the course expenses in the short term and keep making money in the long run. On Udemy this not always works. In fact, you might work on a high-quality course yet not being able to monetize it properly. This happens because usually courses on Udemy are sold at aggressive discounts (often Udemy runs $9 courses temporary offers). Therefore, if you opt to create your course to make it available on Udemy, you better make sure that you’ll have enough traffic and conversions to build a long-term passive income. Otherwise, you’d be better off producing it on other online platforms, like Teachable, that allows you much more flexibility; the ability to have total control on pricing, and your audience. Also, you want to make sure to select that topic that has the most potential in terms of acquisition channels. Those channels are crucial so that you can take advantage of Udemy’s sales and marketing potential without spending resources in selling or marketing the courses on your own (especially if you’re just starting out). The Udemy discovery comprises things like course recommendation emails and homepage recommendation. 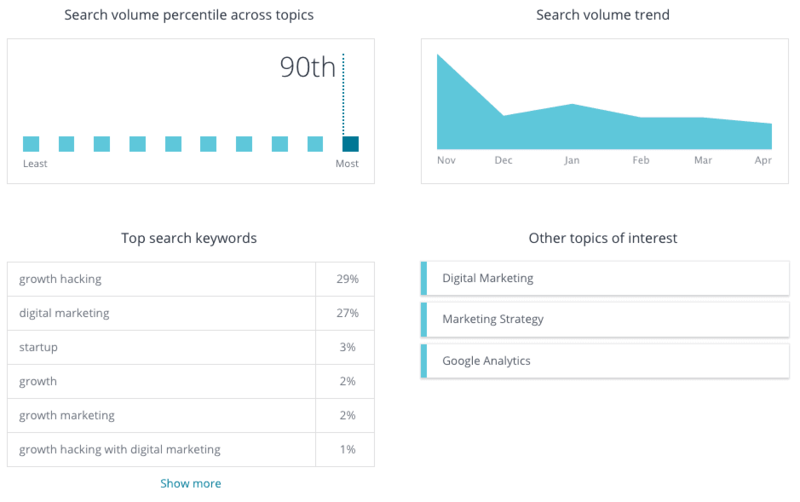 This, together with Udemy search is the most critical acquisition channels for your course. If the conversion rates on this channel are high, you can feel more confident that without you having to push the courses the sales will come in. Of course, before your course get recommended by Udmy discovery mechanisms, you have to drive your audience, to make sure to grow the review and enrollments quickly. Udemy search is also critical. When someone searches for a course on Udemy, making sure that you are positioned and ranked well on the Udemy search results page is crucial to have sales come in. Also in this case, before you get good search volume, you want to make sure to optimize your course landing page with critical terms that cover the intents your students might have. For instance, if you created a course on financial analysis, don’t use just related keywords. But try to investigate the intent of your potential students. Is it a pay raise? A career advancement? Or to pass a test? Well, those will be your keywords (get a raise, advance your career, or pass the test). In general, the higher the conversion rates and the higher the conversion rates on Udemy discovery and search, the more you can be sure that your course can be successful and make you money! Make money online has become very competitive. Thus, before you adventure in building an online business you want to make a bit of homework to make sure at least, you’ll recover the costs of your project and make passive income in the long run. To do so, Udemy makes available a useful tool, called Marketplace Insights, which allows you to analyze the several topic areas to find the ones that have the most earning potential. As we saw, the specialized niches so far seem to be the ones with highest earning potential. However, also broader topics (like SEO) seem to be promising. Within those broader topics, you can find narrower areas of interests (like Google Analytics) that can make you an excellent passive income (assuming you produce a high-quality course). Looking at the top-earning courses isn’t enough though. As you’re opting for Udemy as online course platform, you want to make sure you’ll have enough enrollments coming in. How? By looking at the conversion rates for the topic areas. But the Udemy discovery and Udemy search enrollments conversions are the key ingredients to make sure you’ll have enough sales coming in even though you won’t be doing much marketing in the long run (initially you have to make sure to push the course in any case). So, what topic did you pick for your next online course?